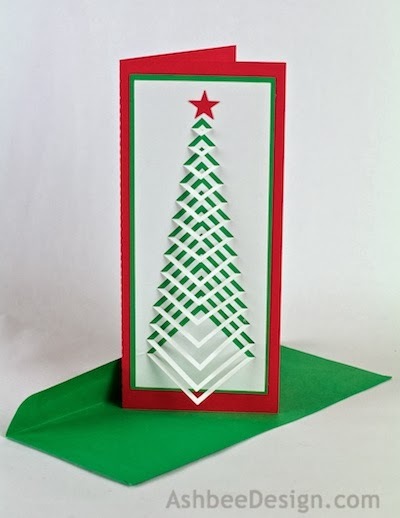 Back in 2005, well before I was blogging, and long before I owned a Silhouette Cutting Machine, I designed a Christmas card based on the tree with a chevron pattern. Each card involved lots of careful cutting and I made 70 of them by hand. 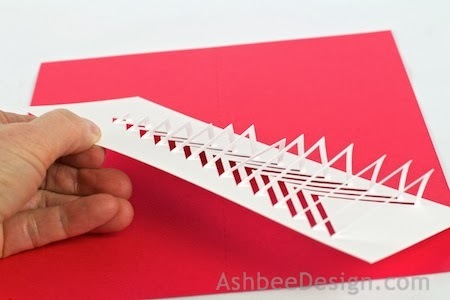 Over the years numerous people have contacted me through this blog to get the pattern for this card. Today, I finally adapted it to Silhouette and have just uploaded it to the online store. It should be available here in a day or two for download. The new silhouette cut design is on the left and the original from 2005 is on the right. I hope to be adapting other designs of mine to this wonderful cutting tool. If you need ideas for handmade cards take a look through my 30 years of handcrafted designs pictured here. 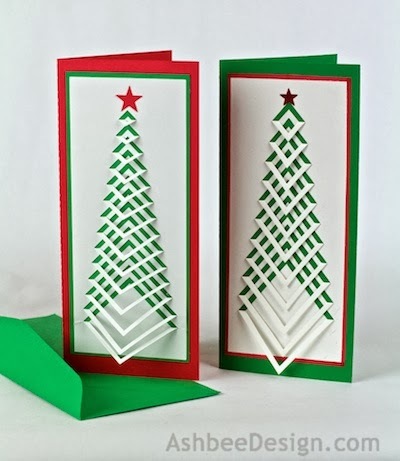 And here are links to a variety of other posts about my handmade cards. This is BEAUTIFUL!!!!!!! You did a great job and I think I am going to have to add it to my silhouette file collection!!!! It's Deonna from the Child at Heart blog! I love this post and would love for you to link up to the Merriest Blog Hop and share your creations! I like it so much!! !well done-great idea! Thanks! It is a favorite of mine. 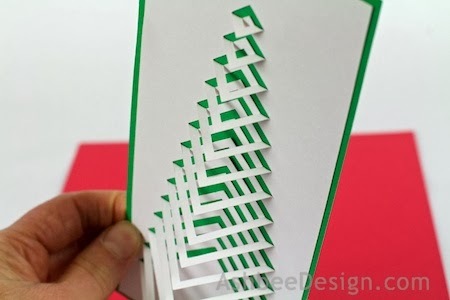 This is so beautiful….and what a patient person you must be to cut 70 of these by hand.